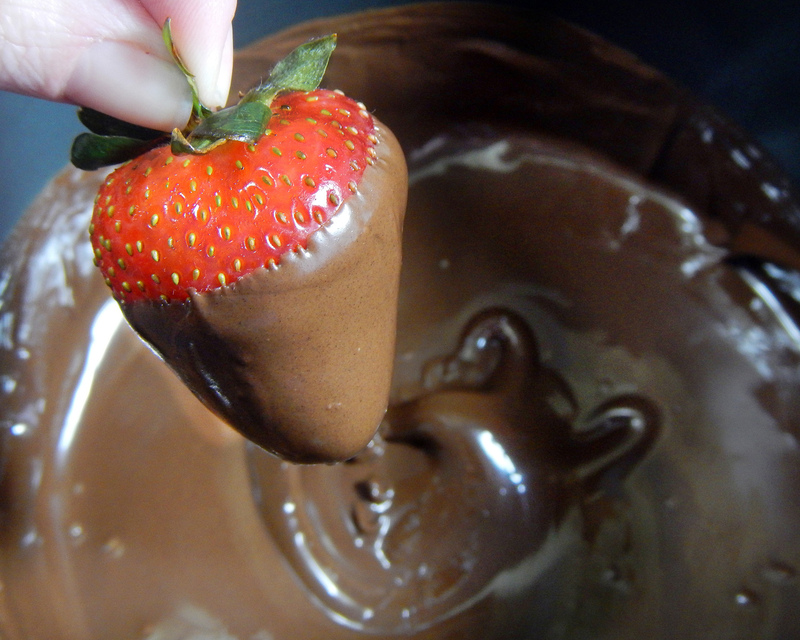 Strawberries soak in a Champagne spa then slip into a silky chocolate robe to seduce your taste buds. 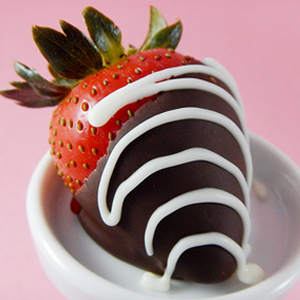 When you bite into one of these, the snap of smooth chocolate gives way to a juicy berry enhanced with bright bubbly flavor. 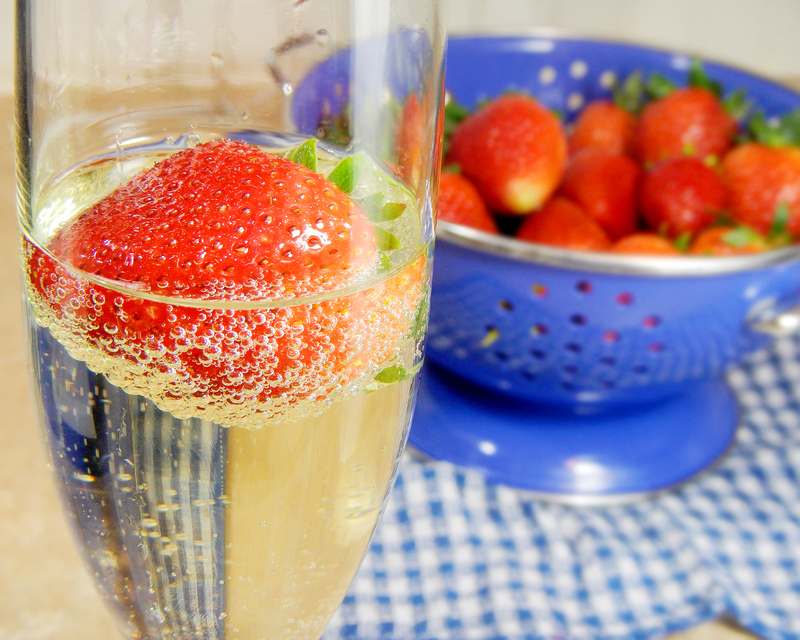 Some people like to pluck strawberries out of their Champagne and eat them right away. I like to let the berries linger. The soak in sparkling wine enhances their natural sweetness. When I posted a photo of this recipe on Facebook and asked readers what they would name it, you all came up with some cute ideas. 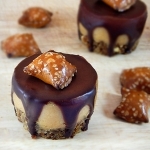 I liked “Date Night Delights” by Meg in Pennsylvania. It resonated with me. Since my son was born three years ago, I learned a great date night doesn’t have to be extravagant or expensive. My husband Jason and I often enjoy dates at home. We catch up with each other after we read the “The Very Hungry Caterpillar” four times and tuck the little guy into bed. You could dip these with your sweetheart for a fun in-home date night or you could make them in advance and surprise your sweetie with a special treat. You need one pound of strawberries. 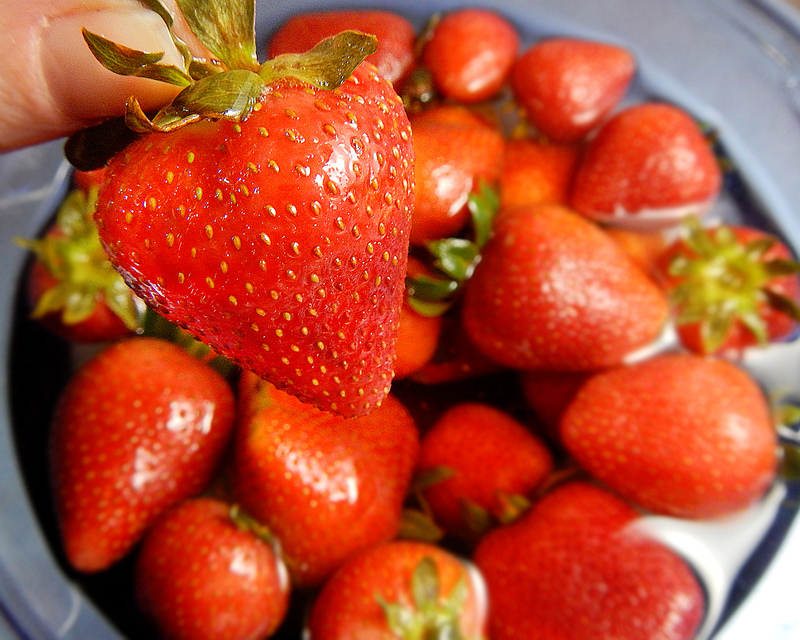 Smaller strawberries taste sweeter than the big ones. Wash them, then pat them dry. Feel free to pour yourself a glass while you work. 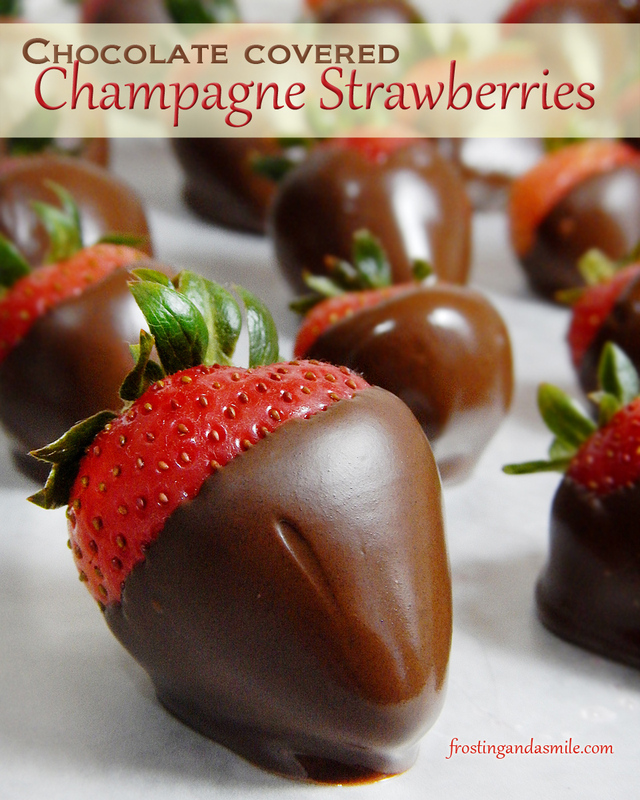 Pour three cups (24 ounces) of semi-sweet Champagne or sparkling wine over your berries. 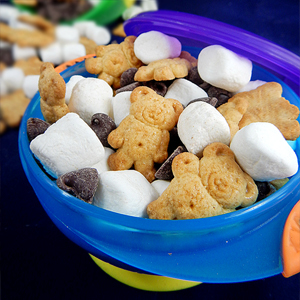 You can do this in a bowl or a jar. If you use a bowl, cover it with plastic wrap and make sure the berries are all submerged. You can place a dish on top of the plastic to gently hold them down. Let them soak for at least 24 hours. The longer the berries soak, the more alcohol they absorb. 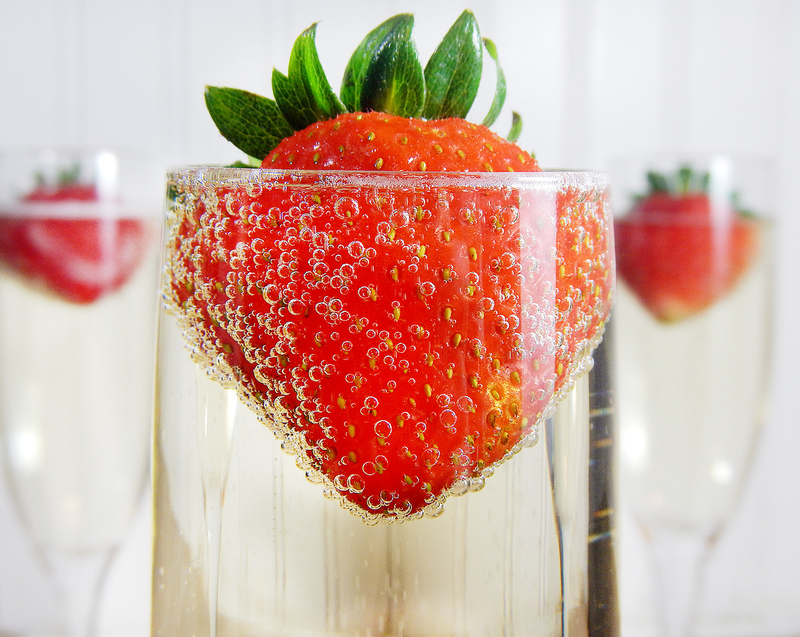 If you want your strawberries to have a more pronounced alcohol flavor, you can poke small holes in them with a toothpick before you pour on the Champagne. After the berries drink their fill, remove them from the Champagne and gently pat them dry. You want to remove excess liquid from the surface but you don’t want to pull the juicy goodness out of the berries. 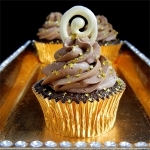 You can use the leftover Champagne or wine in other recipes like Chocolate Champagne Frosting. Next up, the Strawberries take a plunge in a chocolate hot tub. 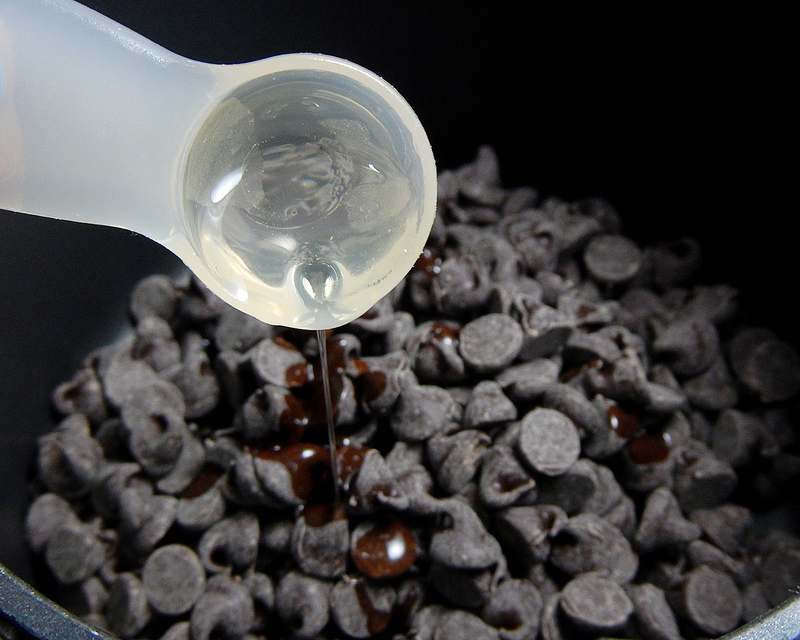 Melt two cups of semi-sweet chocolate chips with two teaspoons of vegetable oil. 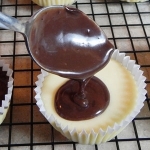 The oil makes the chocolate easier to bite through and adds extra shine. I may have sampled one…or three while they were dripping with warm chocolate. Place the berries on a cookie sheet covered with parchment paper or wax paper. Let them cool. 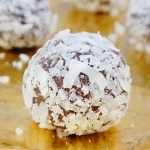 You can drizzle them with melted white chocolate or white candy melts to add an extra special touch. I use a Wilton squeeze bottle. I use these for decorating all the time. I get them two for a dollar at the craft store. 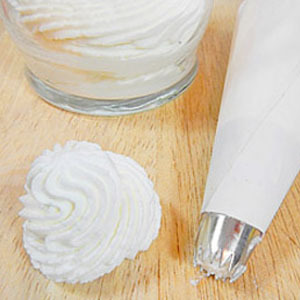 If you don’t have one, you could snip the corner off of a plastic sandwich bag to turn it into a pastry bag. I’m raising my glass in a toast to you. Thanks for reading! Let me know who you are making these for in the comments. Don’t miss out on more sweet recipes. 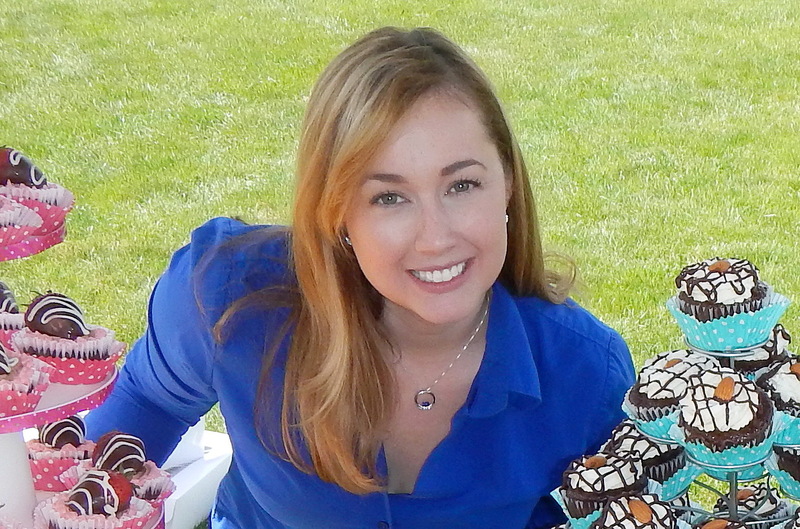 You can follow me on Pinterest, Facebook, or Twitter. 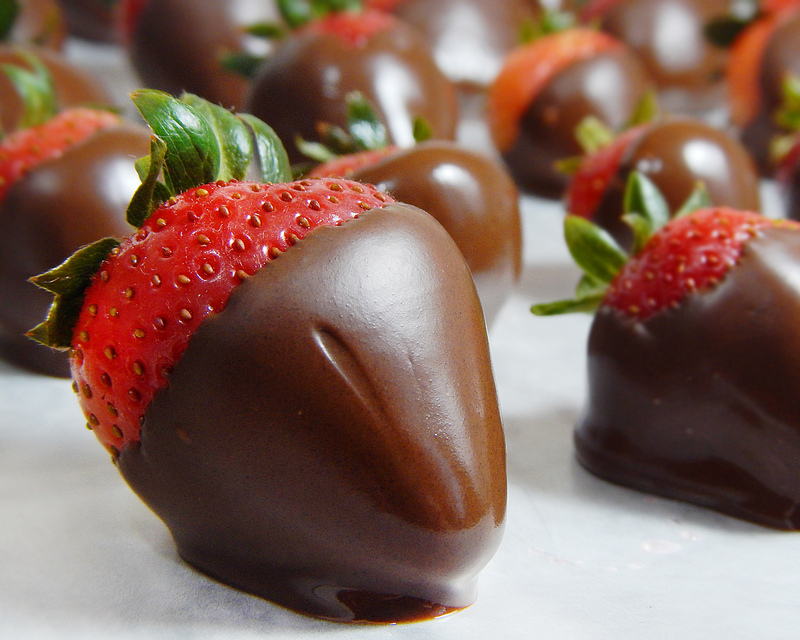 An easy yet impressive recipe for strawberries soaked in Champagne then dipped in chocolate. 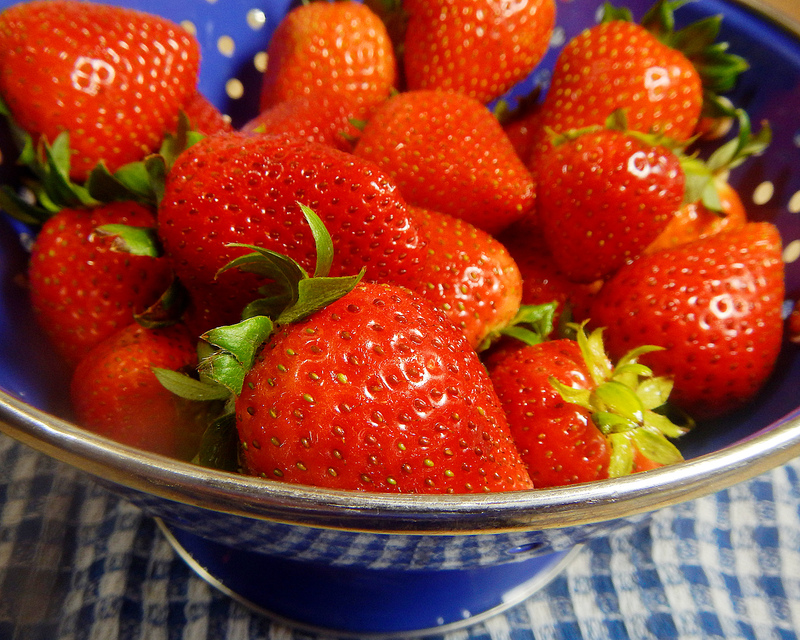 In large bowl or glass jar pour champagne over strawberries. Make sure they are fully submerged. Cover. Let soak for 24 to 36 hours. Remove berries from Champagne. Gently pat dry. Cover baking sheet with parchment paper or wax paper. Melt chocolate chips with vegetable oil over low heat, stirring frequently. Place dipped berries on prepared baking sheet to dry. 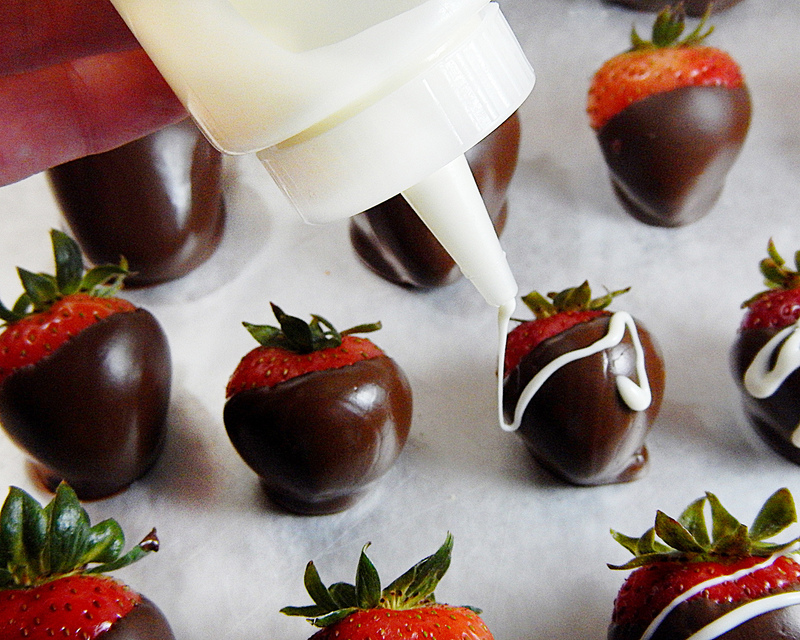 If desired, drizzle with melted white chocolate. These are best served within 24 hours of dipping. You can store them covered in the refrigerator for a day. Will you be giving in to temptation and making them? Oh Laurie! I would pay big bucks for these – looks amazing! Nice photos too! This is brilliant, is this an original idea? Props for creativity! Thank you Haley. I originally got the idea for soaking fruit in alcohol from a friend. 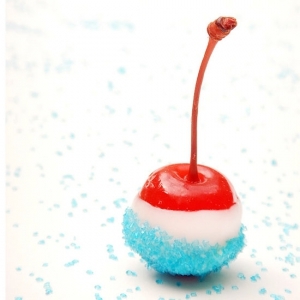 She brought cherries soaked in vodka to a cookout. I’ve been playing with variations ever since. Ooh wow, sounds like the perfect treat for Valentine’s Day! 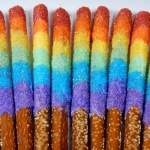 I’m definitely going to try making these! They look beautiful. Definitely trying this out for my Romeo and I. Can you keep the champagne and drink it afterwards? I’m making this for my man, I’m sure he will love it! I’m sure your man will love it too! You can drink it afterwards. 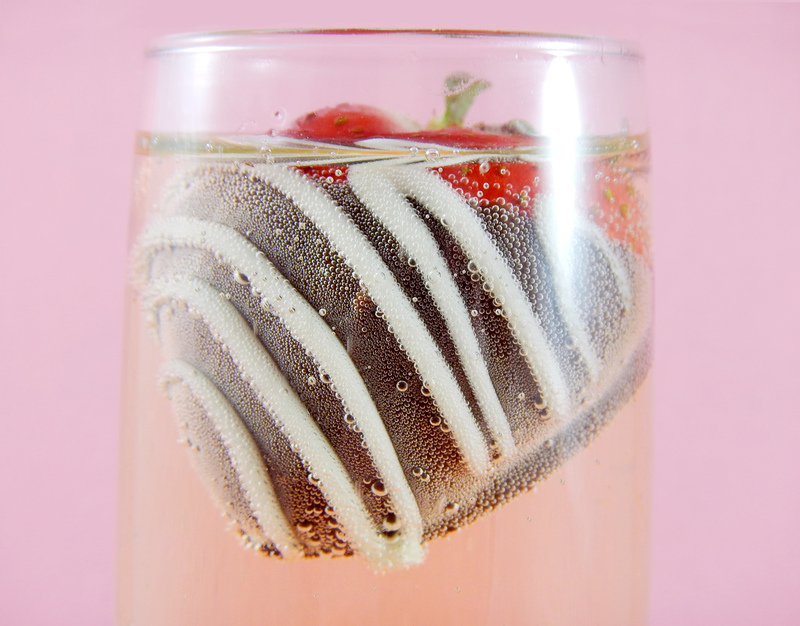 It won’t be fizzy and you might have to strain out some strawberry seeds. 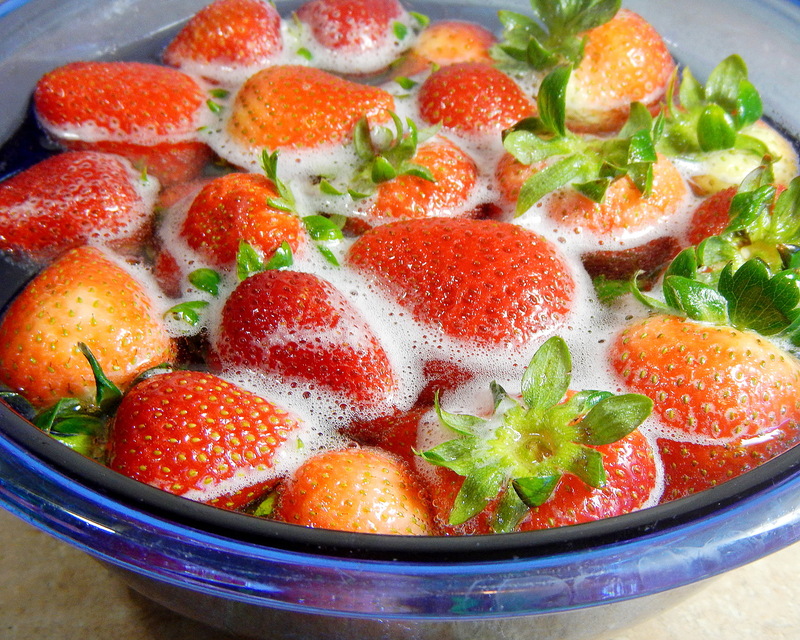 When soaking the strawberries, do I leave them out or refridgerate them? You can do it either way and it will work. Good luck! Making these for a bachelorette party today. Can’t wait to impress the ladies. Thanks for sharing the recipe. Congratulations to the happy couple! I hope the ladies enjoyed them. Hello! Any sweet sparkling wine will do. I like Asti Spumante. The alcohol you choose makes a big difference. If you choose something mild tasting, it won’t be as pronounced as something stronger. Also, you can soak them longer if you want them to taste stronger. I have had no trouble keeping the chocolate on. I’ve heard about people using coconut oil as an alternative, but I haven’t tried it myself. If you try it, please let me know.